This is a simple Arduino compatible breakout for the Hamamatsu C12880MA MEMS Micro-spectrometer which is used to detect wavelengths of light (i.e. colors) and their intensities. 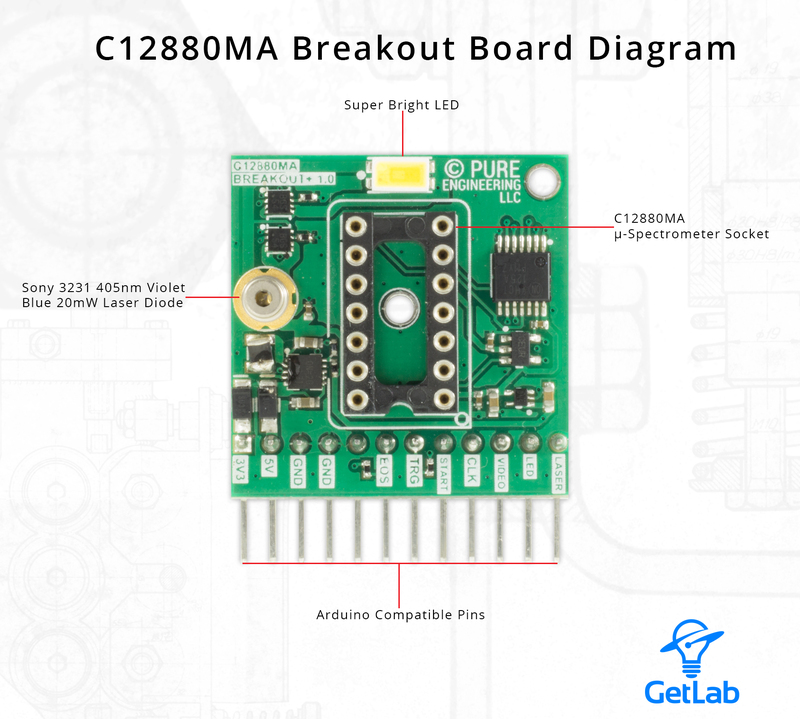 The C12880MA is the successor to the C12666MA with greater spectral range and resolution. 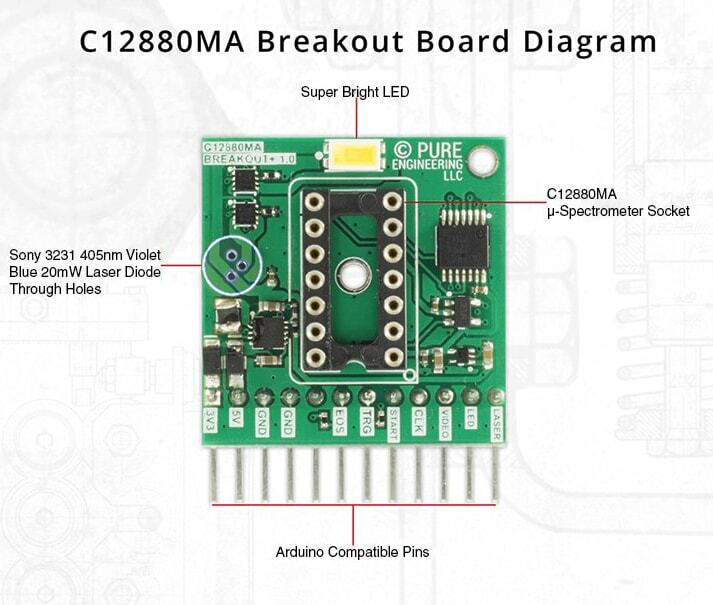 Unfortunately the pinout on the '880 was changed so if you purchased a '666 breakout, you will either need to hack it (cut and jump) or upgrade to this board if you want to experiment with the C12880MA. Since all power and signal pins are broken out, you can easily jumper or breadboard it to any system of your choice as well. In addition to breaking out the C12880MA, the board has a super bright white LED for illuminating a target to possibly measure fluorescence responses.